As inspired by Biggie Smalls himself. Versace recently announced that it will be releasing a contemporary version of its iconic Biggie Frame, as inspired by B.I.G. himself. Aside from his witty wordplay and sharp lyrical flow, the Notorious B.I.G. made waves on the fashion front as well, introducing many to COOGI sweaters and Versace shades, of course. 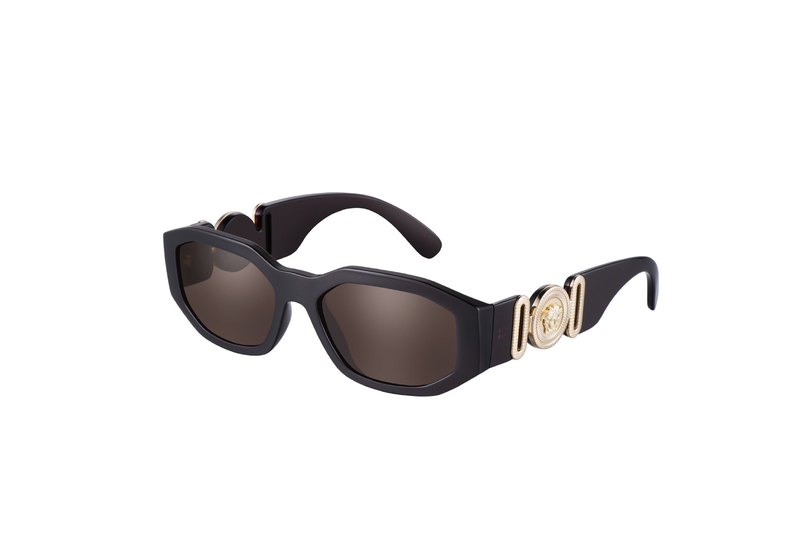 The new model sports an updated low-lens front shape with unmistakable wide-style temples, complete with the very same gold metal Medusa medallions made famous by the late Bad Boy rapper. Set to a retail price of $295 USD, these new Versace Biggie Frames will be offered exclusively through Barney’s for a one-month period and will be available in-store, as well as its online shop starting on October 8 before making its way to select retailers in November. Speaking of statements accessories, BAPE teamed up with G-SHOCK on an exclusive 25th-anniversary model. A splash of color for fall. Spotlighting two popular design motifs. Dubbed the I.D. Buzz Cargo. Coming your way this holiday season. SpaceX’s first attempt at a land landing on the West Coast.